What is your soil type and what aspect/area are you thinking of planting up? If you live in a cottage or want a cottage garden feel then take a look at some of these climbers. Or maybe consider training a fruit tree up the wall like a pear. Will you be able to plant directly into the ground, or will you be growing in a pot? What sort of framework will you have to support the climbers (brickwork, fence...) and how tall is it? What part of the country are you in? Will the climbers be sheltered from easterly winds? Thank you a fruit tres sounds nice. I am in the East midlands, they will be going into the ground. Supported by wire in front of the oil tank which will be about 5' tall and at the back of the oil tank it will be wooden trelis and fence it is about 8-9' in height. They will be reasonably protected from the winds but we back onto fields so the wind can be very strong. I guess you want to screen off the oil tank. 5 feet of height is not much for a climber. 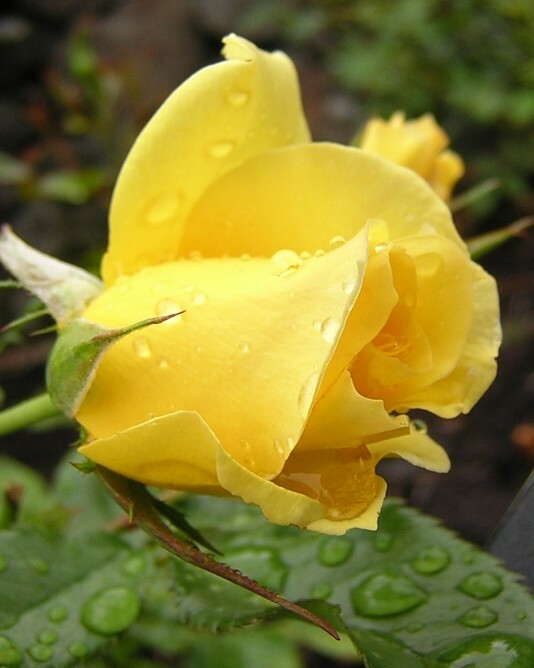 You could grow some short climbing roses such as Climbing Shropshire Lad, or an evergreen such as jasminium nudiflorum. Not sure about fruit trees if they will be exposed to strong easterly winds at flowering time, but if that's not a worry then you could train one or two as espaliers. With the back trellis and fence you have a much wider choice. Roses, clematis, honeysuckles. Now is a good time to choose as the garden centres are full of fresh stock. get chatting to one of the more experienced staff members and ask for advice.